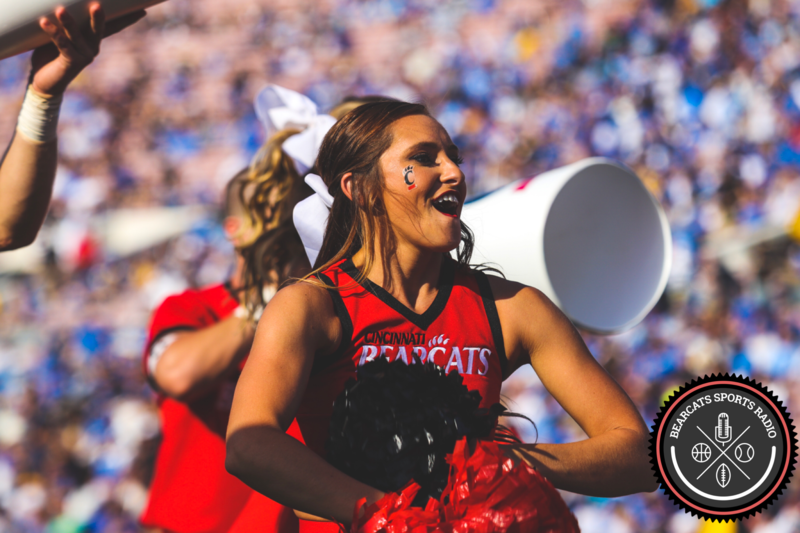 Recently, we broke down the fleet of wide receivers on the current UC roster and their outlook in 2015. Now let’s check out the next deepest offensive position – the running back group. Due to the depth at the running back position and ability to split carries and rotate, no single back will likely put up gaudy numbers or have a 1,000+ yard season. However, given the pressure Kiel and his receivers will put on defenses, the running backs should be able to chew up easy yards and bust quite a few long ones. • Mike Boone: Standing at 5’10” and 205 lbs., sophomore #5 returns as the likely starter after busting onto the scene his first year as a true freshman. He led the team in rushing with 650 yards and 9 TDs in 9 games last year while averaging 6.4 yards per carry. Coming out of Florida he had actually played wide receiver in high school, accumulating 57 catches for 1,068 yards and 18 TDs as a senior. Given his versatility as a pass catcher and a fast, slashing wide out, his role as a UC running back is a true blessing. Boone is poised to be everything Isaiah Pead was for the Bearcats. • Tion Green: At 6’ and 220 lbs. this junior is a beast. Bitten by the injury bug last year, Green only played in the first 3 games and totaled 118 rushing yards and one TD. In 3 years he has only racked up 600 total yards due to injuries and depth at the position. Out of high school in Florida he was ranked as the #45 athlete and the #32 cornerback in the country. Tion is talented, but can he stay healthy and on track? This year he does not need to carry the load of the starting back, which should protect his health – we hope. Green can be the thunder to Boone’s lightning if everything goes as planned. He is a great third down back and second half weapon after Gunner and Boone wear down a defense. • Hosey Williams: At 5’9” and 199 lbs. this senior is poised to have a great year in Clifton. Last year, he suffered a season-ending injury and was only able to rush for 140 yards and no TDs in the first 4 games. In 2013 he ended the season with 655 rushing yards and 4 TDs. Can Hosey stay healthy? Is he back to form? He is talented and can certainly help out Green and Boone in splitting valuable carries. • Deionte Buckley: At 5’9” and 201 lbs. this junior is officially listed at tight end simply due to the number of backs on the roster. He is back on the team this year, but has not played for UC since 2012. Coming out of high school he was a 3-star recruit and the #31 running back in the country. We will have to wait and see if he can brush off the dust and get back to his old self. Buckley could certainly contribute as a third down back this year. • Chad Banschbach: At 5’9” and 185 lbs. this sophomore halfback appeared in 7 games and rushed for 81 yards on 17 carries in 2014. Given the number of backs returning from injury this year, we doubt he will see much playing time in 2015. • Bobby Brown: At 6’ and 200 lbs. this sophomore rushed the ball for just 11 attempts and 80 yards in 2014. Given the number of backs returning from injury this year, we doubt he will see much playing time in 2015. • Fresh Fish: Freshman Taylor Boose and Joshuwa Holloman will not likely see the field in 2015. But, they can certainly spend the year learning from the older players in the rotation. Both show promise for the future. Who is excited to see what Boone and Co. can do in 2015?